The ASMP (Air-Sol Moyenne Portée) is powered by by a ramjet [statoréacteur] with an integrated accelerator. Armed with a tactical nuclear warhead, the ASMP is produced by Aerospatiale, except for the military head, that is provided by the Atomic Energy Commission. The ASMP's nuclear warhead has five times the power of free-fall weapons it replaces. This supersonic missile is guided by a standalone system of inertial navigation that provides it precision requise and allows the launcher aircraft to remain a safe distance from the enemy defenses. The propulsion system constists of a statoréacteur using liquid fuel developed by Aerospatiale. The necessary speed for ignition is reached with a solid rocket motor accelerator housed in the combustion chamber of the statoréacteur. 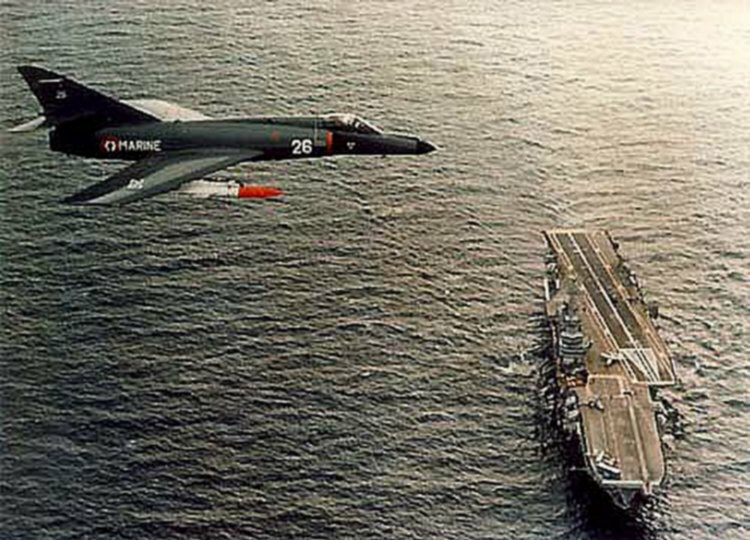 ASMP became operational in May 1986 on Mirage IVP and beginning in 1988 on Mirage 2000 N. It was also adapted on Super Standard for the National Navy, and on-board on the aircraft carrier Foch. 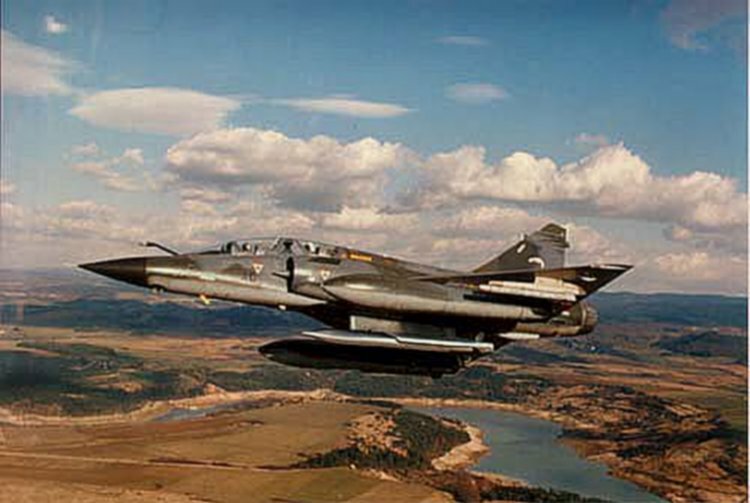 At the beginning of 2000, 60 ASMP missiles (and 42 TN81 warheads) were allotted to Mirage 2000N planes belonging to the air force and 24 ASMP missiles (and 20 TN81 warheads) to the Super-Etendard of the air-naval service. On March 21, 2008, President Sarkozy , during a speech in Cherbourg, made various announcements that today make it possible to know more precisely the quantitative state of the French nuclear arsenal: "For the airborne component, the number of nuclear weapons, missiles and planes will be reduced by a third. After this reduction, our arsenal will include less than 300 nuclear warheads. Therefore, the FAS should have in the coming months a maximum of 40 warheads, missiles and planes. France ordered 79 missiles ASMP-A (against 87 ASMP) to MBDA and 47 TNA warheads to CEA. For reasons of reliability, availability or even crash, it is understandable that the Air Force provides the 40 minimum aircraft required FAS, additional devices to carry this missile. This remark is also valid for the number of missiles ordered. Indeed, additional units are used in the context of exercises-tests, to validate the operation of the weapon during its lifetime. The transition between the two generations of weapons systems continued in 2010 with the commissioning of ASMP / A under the Rafale in the Strategic Air Forces of the Air Force at Saint-Dizier Air Base in July 2010. 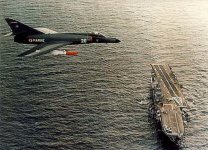 In parallel on the Rafale Marine embarked on the aircraft carrier Charles de Gaulle, when they are in nuclear configuration. The ASMP-A is now in operational service on Mirage 2000 and Rafale. The ASMPA was declared operational in 2009, with the last batch delivered in late 2011 by MBDA. The stock of 54 missiles was shared by FAS and Fanu. By 2018, the last Mirage 2000-N which carry a nuclear payload will be retired in favor of the Rafale with ASMPA missiles (AGM mean improved range). 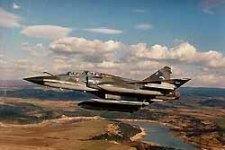 Following the orientations taken in strategic committee and ratified in the law of programming 1997-2002, the choice was made on a missile to ramjet called Improved ASMP or ASMPA (ASMP Amélioré) to succeed the current airborne component. The phase of feasibility the ASMPA program began at the end of 1997. The launching of the development was envisaged at the beginning of 2000 for a entry into service into 2010. 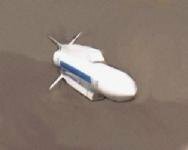 Compared to current missile ASMP, the ASMPA would offer a greater range (500 to 600 km) and a greater diversity of trajectories, including final penetrations maneuvers at very low altitude. This missile, the successor to the ASMP carried by the Mirage 2000N and Super Etendard Modernized (SEM), is equipped with the new airborne nuclear warhead (TNA) with a power of 300 kilotons. With an estimated range of 500 kilometers at high-altitude, ASMPA is powered by a ramjet, which gives it a higher speed of around Mach 3. Capable of flying very low, it has penetration capacity and increased accuracy compared to its predecessor. This missile is implemented by the Mirage 2000N, Rafale Air and Navy Rafale. The development of the ASMPA was also prepared by an operation, called Vesta, financed to the title of the line "work of aerobic transition " from the law of programming, which will make it possible to test in flight a vector with ramjet common to the improved ASMP and anti-ship missile future ANF. The two missiles will share the same liquid ramjet with prolonged combustion and the same section of guidance piloting. They will differ by their final guidance and, obviously, the nature of their payload. The three exploratory developments launched in 1993 and the exploratory research preparing the project of missile air/sol long range (ASLP) were the major reorientation object in order to cover complementary work necessary to the ASMP improved and not included in the tests of feasibility or the Vesta operation. Plans called for the ASMPA to be, starting in 2009, carried by both the Mirage 2000-NK3 and Rafale aircraft, both land (2 squadrons) and carrier-based. The ASMPA is equipped with the newer airborne nuclear warhead known as TNA(tête nucléaire aéroportée). The TNA, with the TNO (Têtes Nucléaires Océaniques), was meant as a replacement to the TN81 et TN75 warheads. The ASMP-A should have an operational life of just over 20 years. The first missiles will be removed by 2030-2033. The Ministry of Defense has already committed credits for studies on a successor around a demonstrator, which bears the name of Prometheus.